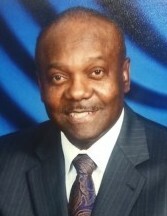 Willie Coleman departed this life on Sunday, August 19, 2018, at the Shady Grove Adventist Hospital, Rockville, MD. He retired June 2009, after a 43 year career in computer programming and program management with IBM, Loral Corporation, and Lockheed Martin. A native of Jackson, MS, he received a BS in Mathematics from Jackson State University and an MBA from Penn State University under the auspices of Alabama A&M University, Huntsville, AL. Willie leaves to cherish his memory his wife, Pearl Coleman and his daughters Valerie Coleman Woodall (Michael Woodall) and Roslyn Coleman; his mother, Geneva Coleman; his brother, Bobbie Coleman (Queen); and his sister, Gloria Coleman. He was predeceased by his father, George Coleman, and his brother, Robert Coleman. His life will be celebrated Saturday, August 25, 2018 at 11 am at The People’s Community Baptist Church, 31 Norwood Road, Silver Spring, MD. Donations in his memory can be made to the JSU Development Foundation, Advancement Services, Jackson State University, P.O. Box 17144, Jackson, MS 39217.